*** ตัวเครื่อง : 182 X 68 x 38 มม. *** ขาวัดยาว 2 ขา : 368 X 44 x 25 มม. 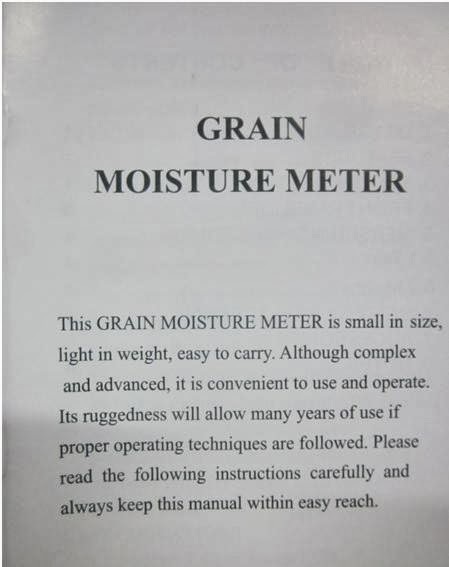 This powerful, versatile and handy device is developed to determine the moisture content and temperature level of Corn, Wheat, Paddy and Rice. Capable to measure moisture from 8 to 20% and temperature from -10 to 55ฐC. Data gathered will then be used by the coded LED lights to give you with the most current condition of the grain being tested. Plus, this meter comes with a FREE detachable EXTRA LONG 2-PIN PROBE that uses an exclusive micro-computer LSI circuit and crystal time base ensuring highly accurate readings, fast measuring and quick response time. Moisture and temperature plays an important role in storing and processing of packed grains. These vital information can determine whether the produced grains are safe to store or process, or whether they are at risk of decay. 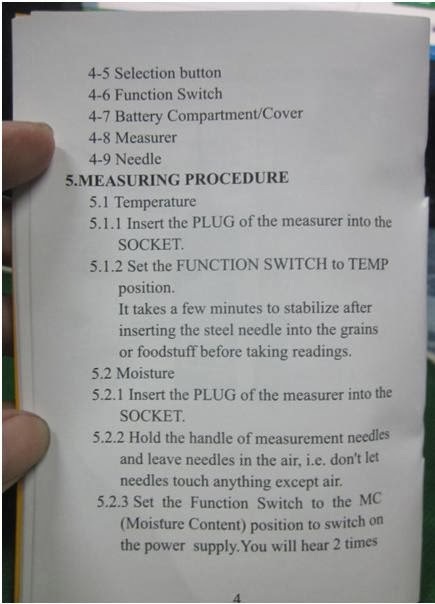 Can be used to measure both moisture and temperature levels of grains, foods, feeds, etc.